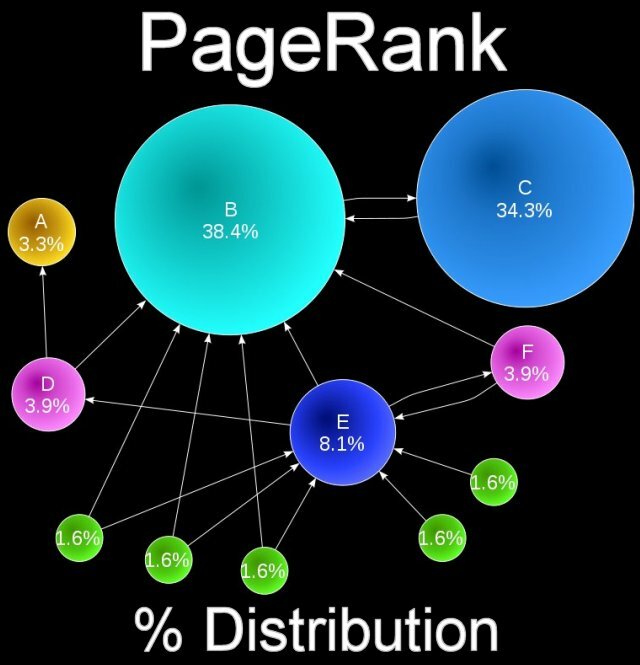 PageRank (PR) confuses a lot of webmasters and SEO Consultants. Many years ago another SEO expert asked me why the site statcounter.com is PR10** despite having a lot of external links on the home page, basically why isn’t the leaked PR (via external links) damaging the sites PR10 home page: the SEO consultant didn’t believe PR leaks and that domain supported his SEO argument regarding PR sculpting. ** As I update this article in 2014 the PR of the domain has dropped to PR8, this doesn’t necessarily mean the site’s lost significantly more than half it’s backlinks. PageRank is based on the entire WWW, well at least the part Google spiders and since I checked the domain in questions PR the number of webpages online have grown several times over which means to gain the same PR a page had 5 years ago requires significantly more links. Don’t worry, every webmaster on the planet is in the same boat, all webpages PageRank is on an ever downward spiral as more and more webpages are indexed by Google. I once had a PR8 page (not for long) and a stable PR7 for a while, now my highest PR webpage is PR5, that’s the nature of Google’s PageRank formula, to maintain PR requires adding more links over the years. The SEO consultant had misunderstood PageRank sculpting and how PR leaks from a site. Going to give a relatively simple explanation with what I hope is easy to understand Maths. When a webpage links to other pages it transfers** 85% (0.85 or 85% is the dampening factor from the original PageRank formula, might be more/less now, but doesn’t matter) of it’s PR points to the other pages it links to in a fair way. You can picture the dampening factor as what it costs in PR for a webpage to generate it’s SERPs, as PR flows through a page 15% is spent on generating that pages SERPs and the remaining 85% flows to other pages via links. ** Transfers isn’t the right term as it suggest the original page looses PR, it doesn’t loose PR per se. You could imagine the “transfer” as creating PR points that are transferred to the linked pages, so the original page keeps it’s PR points. When a new page (one with no backlinks) links to 17 pages each of those 17 webpages receive 1/17th of the PR points available, in this case because the page has no backlinks it’s 1/17th of 85% of a single PR point or 0.05 PR points. Yep, picked 17 so after taking into account the dampening factor each page gained 5% of the PR points (it’s nice to understand basic Maths :-)). Since the 17 pages also started with one PR point (in our example all those pages are new and have no other backlinks) now they have 1.05 PR points each. These then link to other pages, transferring 85% of the total value they have accumulated from all links (so 85% of 1.05 or 0.8925 PR points transferred). An important point though is once a page has PR it doesn’t loose it directly through links, as I said with the transfer note it’s more of a creation process. When a page links out (internal or external) 85% of it’s PR points are recreated/duplicated and they are shared equally to the linked pages. It doesn’t matter if there is one link or 1,000 links from a page, 85% (it’s always 85% or whatever the dampening factor is today) of the total PR points of that page is recreated and shared to all linked pages. If it’s to one link that gets all 85% if 1,000 links each gets 1/1000th of 85%!! –> = link to another page transferring 85% of the PR points. You can see the amount of PR points from the first page decreases (by 15%) as the chain of links increases. The last page in the above chain has gained 0.4437053125 PR points that originated from the 1st page in the chain. As it happens move through ~15 links away from the original page and the recipient pages receive less than 1% of the first pages PR points. The effects of a new page is limited due to the dampening factor. Remember this isn’t PR, it’s our PR points units the above linking system would still result in 7 PR0 pages, but the last page has more PR value than the previous 6 pages, but still not enough to even register a PR1. PR always goes up in the chain, never down so once a page has PR it can’t loose it through linking out, can only loose it’s PR value by loosing it’s inbound links or as discussed earlier when the WWW again doubles in size and what generated a PRX no longer generates that PR value. What linking out does is share the PR equally between all links and this is where we can easily sculpt PR flow. –> 2.57616828125 PR points (new page gains half the PR points). This is where leaking PR comes into play when trying to sculpt PR. Because PR points (PR) is spread equally through all links if we add new links from a page on our sites the original linked pages gain less PR. Using the above examples if we had a home page with two internal links from it and we add two external links as well (4 links in total) you can see the two original internal links loose half the PR points they used to gain from the home page!! This is leaking PR and doing something like this could be disastrous to a sites SERPs, if your deeper content relied on the PR from the home page (no other inbound links to deep content) the above example just cut link benefit down by half simply by adding two external links! Fortunately it’s rare to have a home page with just two internal links, so the effects of adding external links is reduced. For example if we have a home page with 10 internal links they each receive 1/10th of the PR transferred from the home page. If we now add one external link the original 10 pages go from 1/10th of the PR to 1/11th since the new external link receives a fair share (also 1/11th). It should be obvious, think twice before linking to external sites or even unimportant internal webpages like your Privacy or about page. No external links means no lost or leaked PR. Realistically you are going to link to external sites, so here’s a few PR sculpting tips to minimize the SEO damage of PR leaks. Avoid externally linking from the home page or your highest PR pages. Your home page will probably have the highest PR, if you can add no external links from it (unless to your own websites) this will protect the most PR possible. Basically 10% of a PR6 page is worth a heck of a lot more than 90% of a PR3 page. If your home page is PR6 with 9 internal links from it and you add one external you’ve just leaked 10% of your PR6 link/PR benefit! If you have a PR3 links page with one internal link and 9 external links, you are leaking 90% of much less PR/link benefit. You’ll note the PR is shared equally between all links, so if you increase the number of your links from a page it decrease the PR leaked to other sites. For example a site with 9 of your links and one external leaks 10% of the PR/link benefit. Add 10 more of your links and now you leak 5% from that page rather than 10%, much better. If you’ve looked into buying text links for PR you should keep an eye out for the above technique, you can find quite high PR pages selling text links, but they’ve really bulked up the number of internal links (I’ve seen over 150 on some websites!!) this means the buyer gets little link benefit from the link purchase! 1/150th of the PR from a PR6 page is practically worthless. rel=”nofollow” added to links tells the major search engines not to count this as a link. Used to be useful for when you don’t want to use PR on a link, but don’t use it on your reciprocal link partners etc…, it’s not nice. Used to be useful because Google changed the way they handle rel=”nofollow”, when they first recognized nofollow the rel=”nofollow” links were taken out of the PageRank calculation. If you had a page with 10 dofollow links and 10 nofollow links, Google would completely ignore the nofollow links and share the PageRank between the 10 dofollow links (10% each). Now (2014) Google includes the nofollow links in the PR calculation, but deletes the nofollow PR! With the example above the PR points from the 10 nofollow links are deleted (no longer exists), which means the dofollow links gain an equal share of the remaining PR which is 5% each! Do NOT use rel=”nofollow” to sculpt PR, it’s throwing your hard earned link benefit away for no SEO gain. The Stallion Responsive SEO Package includes features to sculpt PageRank without using nofollow, includes multiple features for linking out without passing PR: if you knew what you were looking for you’d find several examples on this page. Google gives a page a boost if it links to highly relevant pages, a lot of this boost will be due to the anchor text of the links, but I think some is due to the link destination as well: the anchor text benefit is a definite SEO bonus, where the link goes not too sure if that helps SEO wise, some SEO experts believe linking to highly ranked relevant webpages helps, my SEO tests are inconclusive. I’ve run SEO tests on rel=”nofollow” links and the anchor text of the link does count towards the pages SERPs (the page the nofollow link is ON), but I don’t know if by adding nofollow if it takes something away from the links: is the anchor text now just treated as standard body text? Difficult to test. Since I wrote the above about nofollow it’s no longer an issue, if you are trying to benefit from linking to similar related sites without it costing PR I’m afraid you can’t with rel=”nofollow” because as discussed above it deletes the PR. For example linking to relevant Wikipedia articles and nofollowing the links to sculpt PR will certainly delete your link benefit/PR (that’s bad), and not sure how the links anchor text benefits the page the link is on, not sure if you still gain the anchor text benefit or just the body text benefit. Don’t do it, not worth the cost using nofollow for no obvious gain. Although it means sending PR to external sites I do advise linking out to relevant pages when it makes sense, it does help with rankings: the anchor text of dofollow links is SEO important. Just try to avoid linking from the home page and other high PR pages and don’t link to your direct competitors. Think about it, if you link to a website you are trying to beat in the SERPs, you just helped the competitor making your job harder. There’s no difference between linking to relevant webpages on external sites compared to linking to relevant webpages on the same domain, the anchor text will help either way. Try to link to relevant parts of the site as you create new content, you’ll see above I’ve added multiple linking to internal pages that are also about PR/PageRank, those links will help this page and the pages they link to. I could not but leave the site without a coment –sorry about that. But as per as Google’s guidelines to webmasters go –it says if you have more than 50 external links—the PR value decreases. 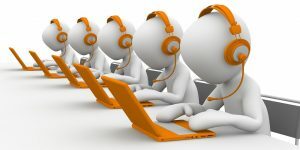 I am more to go with those guidelines than any self-proclaimed SEO experts!. Though I enjoyed your article. Still no sure about where external links should point to. Should they only point to the home page or can they point to other important pages, too? I agree that including links to relevant sites on pages does have a beneficial effect. Just don’t go mad and keep it useful to the visitor. Am I transferring PR to these sites with a JS generated link? BTW you can link from all pages except the main page by surrounding your links with some blogger code. I’m sure if you do a few Google searches you can find the exact code. Thanks a lot David 4 your help & time!!! Do Redirect Links Pass PR? Could this kind of links transfer some PR to my site? Yes they can if the script behind them uses a 301 redirect. Google treats a 301 redirect which many redirect scripts for linking to affiliate products use. Google treats the 301 redirect just like a standard text link with the 0.85 dampening factor like you see with PageRank formula. So nothing to be gained PageRank wise using 301 redirects to link to webpages you don’t want to pass link benefit to. Because you are linking to a page and that page 301 redirects you are in effect adding the dampening factor twice. Linking to Page 1 (0.85 PR cost) which 301 redirects to Page 2 (0.85 PR cost). 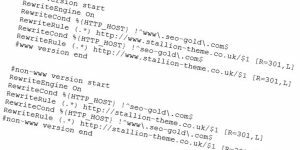 Most PHP redirect scripts are not the answer to PR sculpting, the Stallion SEO package includes a redirect feature that cuts out the linking to Page 1 part, so no PR is passed. Sometimes PHP scripts use 302 redirects (temporary redirect) which used to cause SERPs hi-jacking problems! If the php file loose the pr to the external links? PR Leaks to High PR Pages? Does PR leak if obl are to higher pr sites? but can anyone tell me if PR leaks to pages of higher PR than it ?